In this era of fierce market competition, a company’s website has to be intriguing and user-friendly enough to leave a first good impression on customers and prospects. 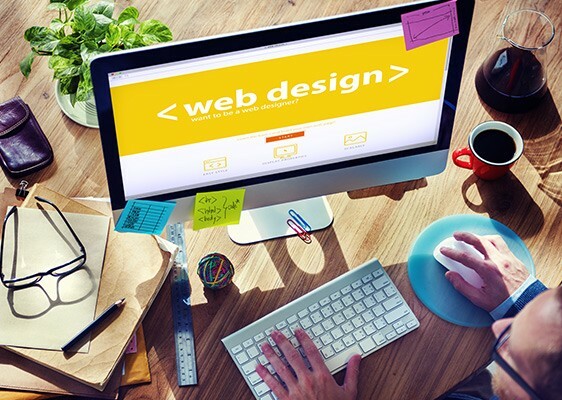 As a matter of fact, a good website reflects your business. We, at Osool of integrated systems, have a team of Dedicated & Creative Web Designers and E-Commerce Developershaving a vast experience in working with some of the biggest companies, both globally as well as within the KSA. With our talented team on board, Osool Computer System can create the most attractive, professional-looking, clutter-free and easy to use website for your business that will leave your visitors totally awe-inspired. Moreover, our website design experts are thoroughly proficient with different Web Technologies & tools, including HTML, DHTML, Joomla websites, Java Script,Magento2,MySQL, Shopping Carts, CSS, Flash, PHP and JQuery, to name a few. With the required expertise in the said area, together with dedication and commitment to make our clients completely contented, Osool of integrated systems’ services will never disappoint you! Osool of integrated systems is a leading, KSA-based company which is a one-stop solution to all your computer hardware and software related concerns. We provide various hardware and software related services to our clients and our main focus is on data recovery and backup services. Copyright © 2017 Osool of Integrated Systems. All rights reserved.